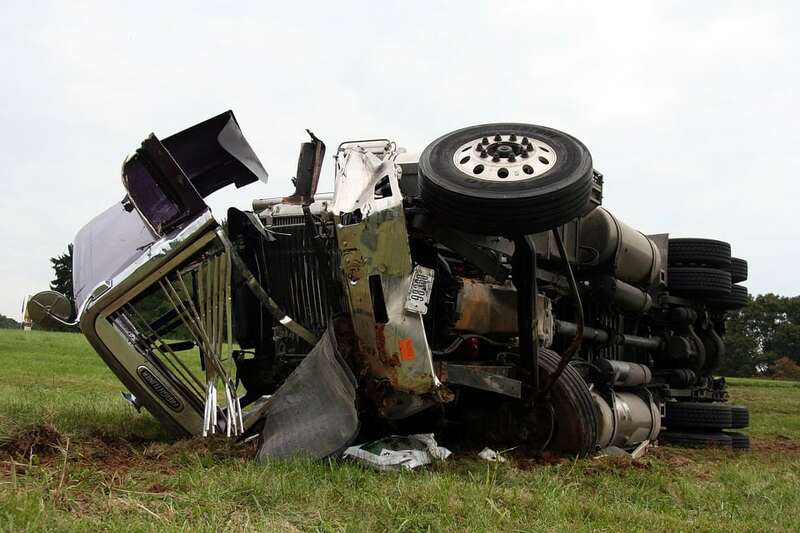 Rensselaer County, NY (October 8, 2018) – A crash occurred on Saturday afternoon, October 6, that resulted in the driver of a truck becoming pinned underneath his vehicle after it rolled over on the I-90. The accident took place at approximately 2:00 p.m. on the eastbound side of the Berkshire Spur. At this time, it is unclear as to how many vehicles were involved in the accident but at least one person is confirmed to have sustained injuries. The truck which was reported to have been carrying milk overturned at some point on the interstate. Subsequently, the driver became trapped inside the cab of the truck. Police confirmed that the driver had been trapped, but the extent of his injuries was not verified. Crews were at the scene as of Saturday afternoon attending to the victim and cleaning up the debris and cargo that was spilled. Police are currently looking into the cause of this crash. We would like to, above all else, offer our genuine condolences to anyone who may have sustained any injuries during this accident. Accidents involving large trucks are often among the most detrimental, and our experienced New York accident attorneys are here for you. At Hach & Rose, we have devoted our lives to serving the innocent victims of negligent parties and other entities. We are passionate about keeping our roads a safe place for all of us who share them. We understand the devastating physical, emotional, and financial toll that a New York truck accident can have on victims and their families. If you have lost a loved one in a New York truck accident due to someone else’s negligence, please don’t hesitate to call 212-779-0057 and let us put our experience to work for you today.